150 years after the condition was first recognised, the cause of multiple sclerosis remains a mystery.​ There seems to be no one single cause, but there are several risk factors that make MS more likely to occur. You may wonder whether you did something to cause your MS or if you could have stopped MS from happening to you. The answer is 'no'. No one could have advised you how to prevent your MS. The risk factors for MS are very common, and thousands of people are exposed to them every day, but only a small fraction actually get MS. It's likely that a number of these different factors need to come together to trigger MS, but no one knows for certain who will and who won't get the disease. The most widely held theory is that MS is an autoimmune disease - where the immune system, which should only target invading germs, turns on the body's own tissues. In the case of multiple sclerosis, the immune system attacks myelin, the fatty protein that covers the nerves in the central nervous system. It is thought that, in people who have an underlying genetic tendency, MS is triggered by other risk factors, such as a viral infection, smoking, or a lack of vitamin D.
Here, we look briefly at some of the possible risk factors. 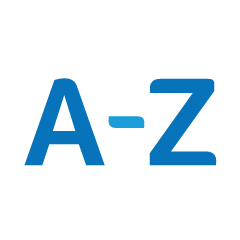 You can read more information on each one in our A-Z of MS section. MS is not considered an inherited condition as it's not passed on in a predictable way like some conditions, such as haemophilia or muscular dystrophy. Some genes make it more likely that someone develops MS but having these genes is definitely not enough on its own as other factors are needed to trigger the condition. 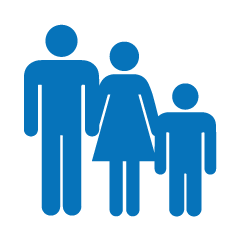 This means that the risk of other members of your family getting MS is small. Although there are instances of several members of a family developing multiple sclerosis, MS is not hereditary and the majority of people who develop MS have no previous family history of the condition. Studies of identical twins, who have exactly the same genetic make up, indicate that MS is not solely dependent on genes. If it were, it would be expected that were one identical twin to develop the condition, the other would also develop MS.
Studies have shown that rather than this 1 in 1 risk, the actual risk for the identical twin of someone with MS is about 1 in 4. This suggests that there is some other factor, or factors, that causes some people with a particular genetic make up to go on to develop MS. It is currently thought that one of the factors might be an infection. In the early part of the twentieth century research was focused on the idea that multiple sclerosis was directly caused by an infectious agent. This work failed to find any positive results. Subsequent research, which still continues, has worked on the theory that, rather than being an immediate cause, an infection acts as a trigger which sets off a train of events in some people that develops into MS over a period of time. A number of viruses have been investigated, including chicken pox, measles, mumps, canine distemper and a number of herpes viruses. Recent research has been looking at the Epstein-Barr Virus (EBV), a very common virus that causes glandular fever in some people. However, if there is a particular virus or combination of viruses that trigger MS, the exact mechanism still has to be identified. Read more about EBV and viral triggers for MS. It is known that multiple sclerosis is more common in countries further from the equator. One explanation for this observation may be that a lower exposure to sunlight results in a higher incidence of MS.
Vitamin D is manufactured by the skin when it is exposed to sunlight. In theory, with lower sun exposure, there will be less vitamin D produced by the body. This has led to the hypothesis that low sunlight exposure and consequent low vitamin D production triggers the development of MS.
Studies are underway to investigate both the role of vitamin D as a protective agent against the development of MS and as a treatment for people with the condition. Read more about research into vitamin D and MS. There is increasing evidence that smoking is a significant risk factor in MS. Smoking may cause lung damage that ultimately makes the central nervous system vulnerable to attack by immune cells. Smoking also makes it more likely that a person with MS will progress to more serious symptoms and disability. Read more about smoking and MS.
A 2018 study has found that there is some evidence that long term exposure to solvents such as those in paints, varnishes and glues could also be a significant risk factor in MS.
An increased prevalence of MS has matched an increase in obesity in the Western World. Some scientists believe that there is a causal link between them. Several studies have shown an increased risk of developing MS if you are obese, particularly if you are obese in childhood or early adulthood. One 2016 study found that moving from being 'overweight' (BMI>25) to being 'obese' (BMI>30) resulted in a 41% increase in risk of developing MS. Researchers have identified a handful of genes associated with obesity that are also associated with MS. This means that if you are genetically likely to become obese, you are also more susceptible to MS. The link between childhood obesity and MS is particularly strong in girls. This may relate to overweight girls tending to go through puberty earlier, and having higher levels of hormones around that time. Another theory is that excess fatty tissue stimulates inflammation and enhances the likelihood that MS will develop. Fatty tissue also tends to make vitamin D less available in the body, although the effect of obesity on MS risk is not explained solely by vitamin D.
In 2011, a study suggested that the combined effect of exposure to the Epstein Barr virus and low levels of vitamin D could increase the risk of developing multiple sclerosis. Researchers studied hospital admissions in England in the seven years up to 2005 for people with MS and also people who had had glandular fever. They compared this with data on sunlight in the same period. Analysis of sunlight exposure explained 61% of the difference between high and low rates of MS across the country. The combined effect of sunlight and glandular fever meant that 72% of the variation could be explained. A similar study looked at the relationship between having a genetic susceptibility for MS and smoking. In Sweden, 20% of all MS cases are associated with smoking or passive smoking. However, among the people with MS who have the susceptible genetic type, 41% are associated with smoking or passive smoking. This shows that if you have the genetic tendency to acquire MS, smoking makes the risk worse. There is a simular interaction between childhood obesity and EBV infection, and future risk of developing MS. Young people with a BMI over 27, who had experienced EBV infection were 6 times more likely to develop MS. The mathematical model in this research article shows how genetic and environmental factors add up to cause MS.